Missoula, Montana is in a way its own little world. Garrison Keiller said it best when he said that Missoula is “Montana, but with feng shui and herbal tea.” It is a bastion of the outdoors, art, music, politics, activism, and infinitely passionate students. More importantly it is home to the state’s flagship school, the University of Montana. In 1981, C.B. Pearson and Jon Motl, led the efforts to establish MontPIRG at the University of Montana. Both Pearson and Motl continue to be very active alum in the organization. Between 1983-1987 MontPIRG started the tenant-landlord hotline and published the first tenant landlord guide. The student chapter ran campaigns on consumer rights and education, utility issues, and campaign reform. Also in the 80’s, MontPIRG passed the Montana’s Lemon Law. MontPIRG played a major role in campaign reform throughout the 1990’s. MontPIRG successfully passed I-118, the first-in-the-nation law limiting PAC contributions to state legislative campaigns in Montana. This work continued in ‘96 when we passed I-125, banning corporate contributions to ballot initiative campaigns. In 1998 we passed I-137, which banned the use of cyanide leach mining. We also played a role in improving the quality of UM in these years, establishing a recycling fee on campus as well as an alternative transportation fee. Both of these fees were used to establish the office of Sustainability and Transportation that continue to operate under ASUM. In 2009, MontPIRG produced a consumer price guide for food and basic items available for purchase at six supermarkets across Missoula to help students save money on groceries. In the fall of 2010, we registered hundreds of UM students to vote and made over 5000 GOTV (Get out the vote) contacts two days before the November elections, encouraging active citizenship and a functioning democracy. During the 2011 legislative session, two MontPIRG students lived in Helena and were provided the opportunity to lobby for environmental, consumer protections, and other important public policy. Both agree it was the hardest, but also the most rewarding educational experience either had faced during their college careers. The campus chapter gathered 100 handwritten letters, 120 photo and 1200 petition signatures for them to present to the House FRET (Federal Relations, Energy, and Telecommunications committee) in support of the Renewable Energy Standard MontPIRG helped pass in 2005 as well as the new 25% by 2025 project.development. MontPIRG was able to make 12,000 get out the vote contacts for the 2008 election, block an attempt to require a Montana issued ID to participate in Montana elections and pass a bill protecting renters through the state house. MontPIRG’s work during the session helped influence Governor Schweitzer to veto bills that would have repealed same day voter registration, prohibit the state from enacting meaningful energy efficiency codes, created yet another loophole in Montana’s ban on cyanide leach mining, and watered down the RES. MontPIRG collected thousands of petitions to protect Glacier National Park, which helped convince 80% of the oil companies who had contracts to drill in the Park withdraw. 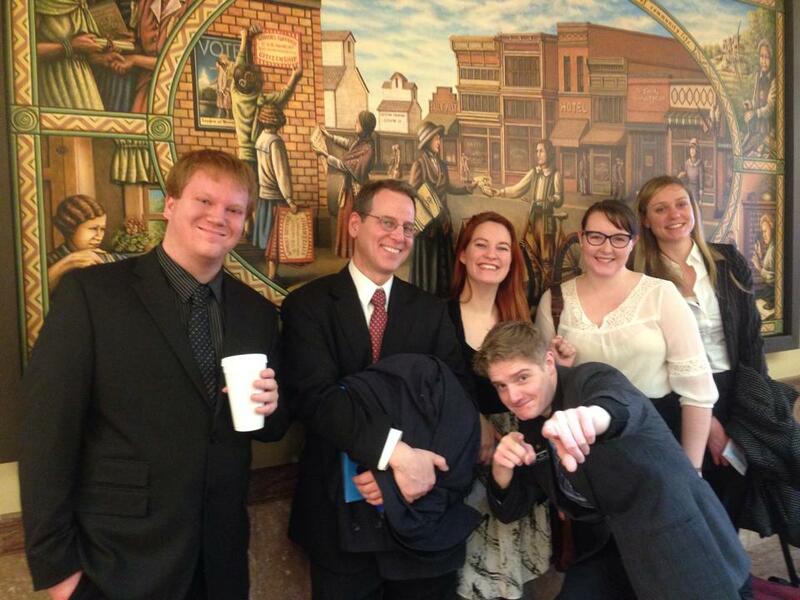 MontPIRG Volunteers and Interns travel to the Capitol in Helena to Testify on Legislation. In 2011 MontPIRG effectively lobbied the Missoula City Council to pass a historic privacy ordinance. The new law prohibits employers from asking for online passwords as a condition of employment. Later that year MontPIRG knocked over 4,000 doors and made over 3,000 calls to support a mill levy to expand Missoula's public transit system. The mill levy received 57% of votes cast in that election. During the 2014 election our organization was busy defending same day voter registration, a policy which MontPIRG helped to enact in a prior legislature. Extremists in the past session decided to put the measure on the ballot to bypass the veto pen of Gov. Steve Bullock who had blocked previous attempts. The whole MontPIRG team spent countless hours knocking 8,193 doors, collecting 7,206 pledges to vote 'no' on the referenda, and making a whopping 23,760 phone calls. On Election Day the hard work of the volunteers paid off when the measure when down on a 43%/57% margin. During the 2015 legislature MontPIRG effectively advocated for a freeze on tuition costs for the second session in a row. This is the first time in recent history where tuition has not increased for Montana students. Another gigantic achievement of the session was the passage of the Montana DISCLOSE Act. This comprehensive campaign finance reform legislation was a MontPIRG priority bill and passed by a narrow margin. Back on campus interns and volunteers gathered thousands of messages from students to send to the legislature to ensure that student's voices were heard. When Tintina Resource Inc, an international company with no previous mining experience, submitted their application for a full-scale mine at the headwaters of the Smith River in 2015, MontPIRG began its campaign to Save the Smith River, a 59 mile stretch of pristine water just northeast of Helena in the Big Belt Mountains. Aside from being a state icon, the Smith River is responsible for over ten million dollars in economic impact and is Montana’s only permitted river due to high recreation demand. If the Black Butte Copper Mine were approved, this same river would be highly susceptible to arsenic pollution and acid mine drainage, the latter considered “perpetual pollution”. To send a clear message to the Montana Department of Environmental Quality, MontPIRG collected over 3,000 public comments statewide and passed a Save the Smith Resolution through the Missoula City Council. In 2016, MontPIRG began its Youth 12K campaign, focused on increasing youth voter turnout and ultimately bringing 12,000 young Missoula voters to the polls for the 2016 election. Just shy of our goal, MontPIRG saw 11,870 voters between the ages of 18-29 vote in Missoula County in 2016, resulting in voter turnout amongst young voters in Missoula county increasing by 7.4%, making young voters 19.2% of all votes cast in Missoula County. Due to MontPIRG’s tireless efforts, 1 in every 5 voters in Missoula county was a young voter. Throughout the campaign, MontPIRG made over 20,000 voter contacts, registered over 3,500 voters, distributed 3,000 voter guides, and turned in almost 300 ballots. During the 2017 legislative session, MontPIRG sent two full time lobbyists to represent student interests. Due to the unwavering dedication of our student lobbyists, MontPIRG made significant gains for the interest of young Montanans. HB267, a bill that allowed Montanans to remain on the absentee list and receive an absentee ballot without reconfirming their address every two years was supported by our lobbyists and ultimately signed by the Governor. Our student lobbyists were also instrumental to stopping bad bills from gaining traction in the legislature. To support the work of our lobbyists, over 1,000 public comments were submitted to the state legislature to protect our outdoors, defend voting rights, and empower consumers. MontPIRG also sent 63 students to Helena to share their voice at our capital.